Pierre Jules Mene was one of the best Animalier sculptors and his hunting dogs are some of his finest subjects. Here is a powerful Pointer shown tethered to a tree stump and straining at his leash. Hunting dogs were popular in the mid 19th century and many different breeds were portrayed in art. Because dog breeds 100 years ago often looked quite different than they do today, this dog could be a hound instead of a Pointer. 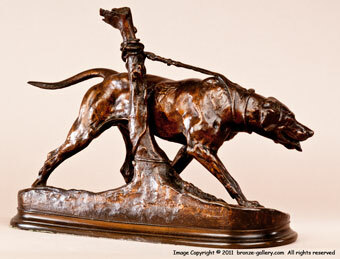 A fine model, it was cast in Mene's own foundry and has sharp details and a rich reddish brown patina. 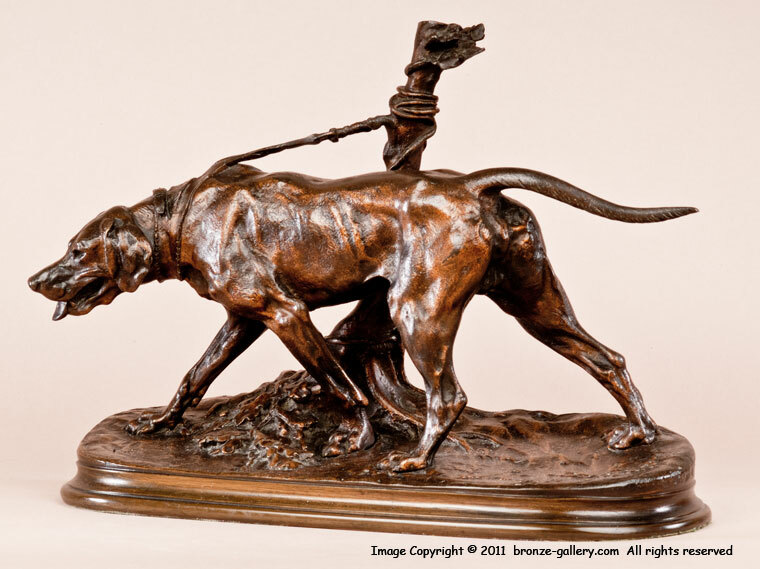 This handsome large bronze dog would be enjoyed by any collector or dog lover.